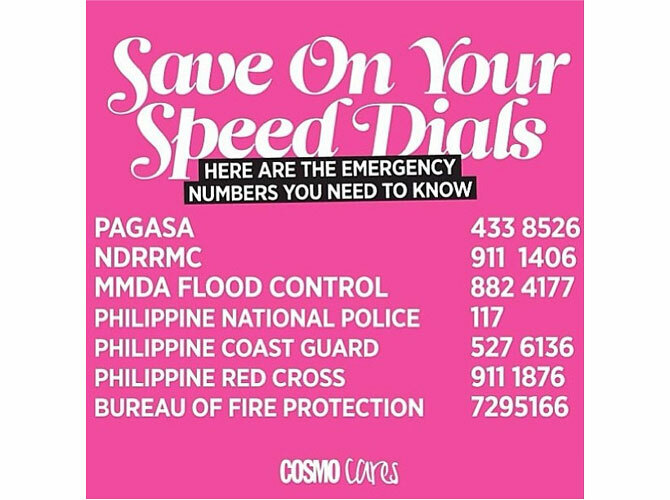 Save these numbers on your phones and follow these tips in case of an emergency. The last thing we want is a repeat of the destruction caused by previous typhoons like Typhoon Yolanda and Typhoon Ondoy. Though we have no control over these natural calamities, we can lessen casualties by taking extra precaution. 1. Stock your kitchen and storage cabinets with supplies, water, and food—especially those that don't spoil easily. 2. 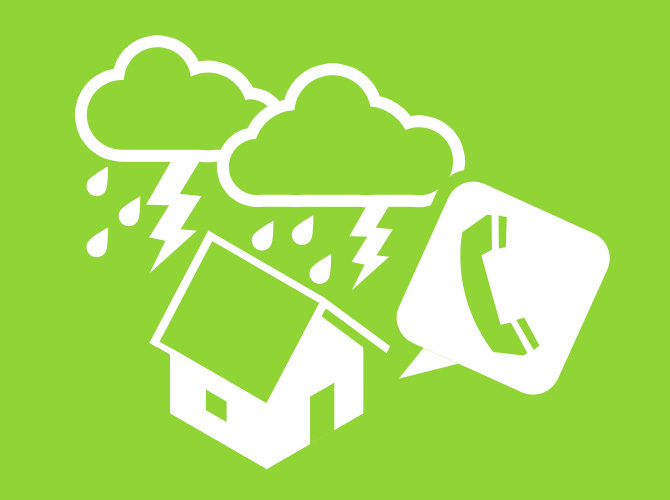 Charge your mobile phones, laptops, emergency lights, and other gadgets that would help you in case of an emergency. 3. Make sure you have flashlights, candles, and spare batteries at hand. Also keep a first-aid kit handy, the suggested contents of which you can find here. 4. During a flood, make sure you put the safety of people FIRST. People must come before property, and be ready to evacuate when asked to do so. 6. When the waters subside, find out what to do here.